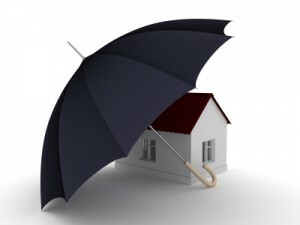 We have a wealth of experience in dealing with water damaged properties. Whether you have a burst pipe, leaking roof, or defective damp proofing or localized flooding, you can rest assured that our years of experience means that we have dealt with a variety of different water and flood related problems and can offer you a wealth of knowledge and expertise in this area. Are you worried about water damage to your property? Have you noticed any of the following? Any one of the above water damage symptoms can be a sign that your property is suffering from a water ingress problem. “Prevention is always better than cure” – Contact us today to discuss how we can prevent your property from suffering water damage. If your home or business premises is suffering from any of the above, your best course of action is to get in touch with our specialist team. Call or contact us for a free no obligation consultation about how you can act now and take the measures to preserve the life-span of your building. Don’t delay! It is important you “stop the rot” and prevent what can sometimes be described as a minor leak, turn into something more sinister like major damage to the structure and fabric of the building. Our experience of our Institute of Inspection, Cleaning, and Restoration Certification (IICRC) Qualified Water Damage Restoration Technicians, Structural Drying Technicians, and FLIR levels 1 & 2 thermographers (thermal imaging technicians) offer a wealth of guidance, backed by professional insurance cover. Following our damp survey, we provide an unbiased, independent report mapping and discussing existing damp and water damage, as well as covering the potential for damp and its related problems (risk of expedited natural material ageing, mould, rusting and mechanical damage, and metal corrosion), along with recommendations for future action.